Schools, districts, state departments of education and consulting firms will provide you with a myriad of professional development opportunities. Ultimately, however, it is you who must become the steward of the direction and effectiveness of your own ongoing professional growth. Let “TIP” help! Over the years, schools, districts, state departments of education, and consulting firms will provide you with a myriad of professional development opportunities. Ultimately, however, it is you, the individual teacher, who must become the steward of the direction and effectiveness of your own ongoing professional growth. Like most teachers, you want what you do to have meaning and to be effective. You want to have a say in your professional development. In order to help you do that, here is the Teacher’s Inquiry Process (TIP). TIP is intended to develop your capacity and confidence to take responsibility for and control your own professional development. TIP uses data and reflection to identify and focus on a specific professional need. It then prompts the generation of activities to address that need, and goes on to elicit details to help activate those activities. Before I describe TIP itself, here are its caveats and ground rules. TIP is not a plan. It is a planning process—a guide designed to stimulate critical and creative thinking that leads to action-based decisions. As a teacher, you have more than enough paperwork with which to contend. TIP is not paperwork to be handed in or filed. Rather, it consists of a series of prompts to stimulate and guide personal or group reflection—either spoken or written. It has no official status, and except for possible inclusion in your journal or portfolio, it need not be documented. TIP is an eight-step process. It is not meant to be completed all at once. TIP is best applied over time, concentrating on one or two steps—or even part of one step—during each session. It may be necessary for the whole process to extend over a week or two, but it shouldn’t be stretched out much longer than that. TIP can be undertaken alone or be used by a group of teachers who can bounce ideas off of each other. Working on TIP with colleagues challenges everyone to look deeper and harder—to go places they otherwise may not think about or even be willing to think about. By going through TIP with your peers, you hear each other’s thoughts aloud, along with verbal inflections and intonations that suggest meaning beyond the words. In addition, there is the opportunity to elicit and receive feedback that is informed by experiences, knowledge, and beliefs different from your own and therefore has the potential to provide new insights. The ultimate purpose of TIP is to improve teaching and learning. When you reflect on your professional practice with the objective of learning to teach better, the teacher and learner are the same person. Some school districts require that teachers develop and carry out individualized professional development plans. In such a case, you will probably need to use standard forms, keep records, and follow certain procedures. You can still benefit from TIP, however, because it generates decisions on how and when to carry out specific activities that may relate to goals called for in official individual plans. 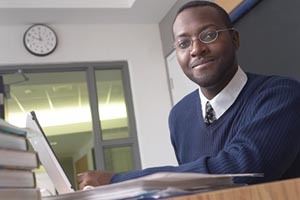 Check with the person in your school district responsible for professional development, personnel, or human resources to determine whether your state and local policies allow focused independent study such as TIP to earn continuing education units, professional development points, or other recertification points. TIP is most effective when it concentrates on one designated and defined outcome, rather than on a general category or need. Because TIP focuses on addressing a specific desired outcome, it allows for tweaking and adjusting where appropriate. It also generates benchmarks that, when met, provide a clear sense of accomplishment. The best time to work on TIP is in the 2nd half of the school year. This is a good time because there will be recent memories, reflections, and data still fresh in your mind and at your fingertips. There are intangible benefits associated with TIP, not the least of which is that when informed by data, the input of others, and reflection, TIP users decide for themselves what to work on, how to work on it, and when to work on it. TIP users set their own schedules, select their own resources, and determine their own activities and desired outcomes. What do I need to know and be able to do, that I don’t know or can’t do now, in order to better help my students achieve what they need to know and be able to do? Step 1. Analyze and reflect on data and insights to identify a specific area of concern where there is a difference between the way things are and the way you would like them to be. Step 2. Using the present tense, describe the situation as though everything was going well and the concern did not exist. What do you see, hear, smell, taste, feel in this ideal setting? What are others saying and doing? What are you saying and doing? Step 3. As specifically as you can, describe the concern you want to address. Write your thoughts in the form of a series of reflective questions and statements. Limit your focus to one particular concern. Step 4. Identify gaps in your abilities, knowledge, skills, understandings, and/or resources that may be keeping you from addressing your concern. Step 5. Identify potential resources that can inform your inquiry. Step 6. List specific actions you will undertake to fill or bridge the gaps you identified. Estimate a start and end date for each action. Step 7. Commit to carrying out the activities. Step 8. Assess the results.